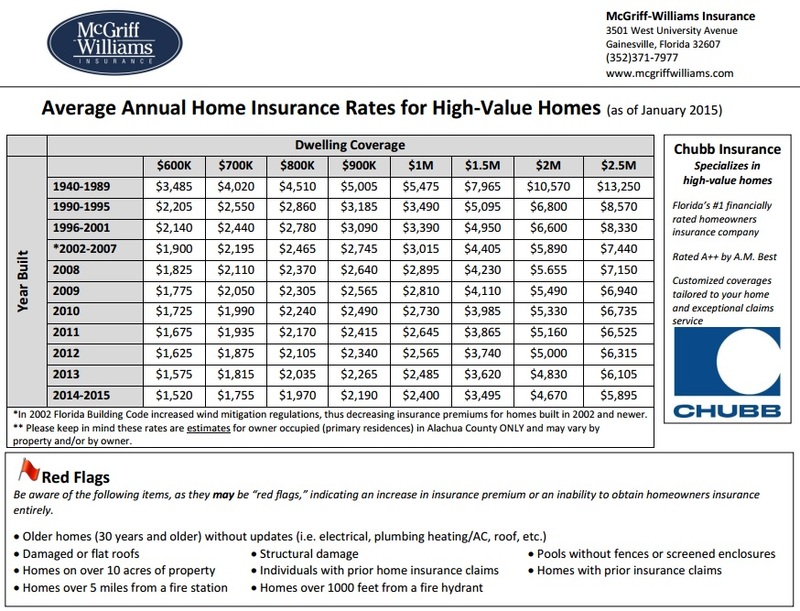 The below charts show average home insurance rates for homes in Gainesville, Florida. Please keep in mind these rates are estimates for owner occupied (primary residences) in Alachua County ONLY and may vary by company, property and/or by owner. 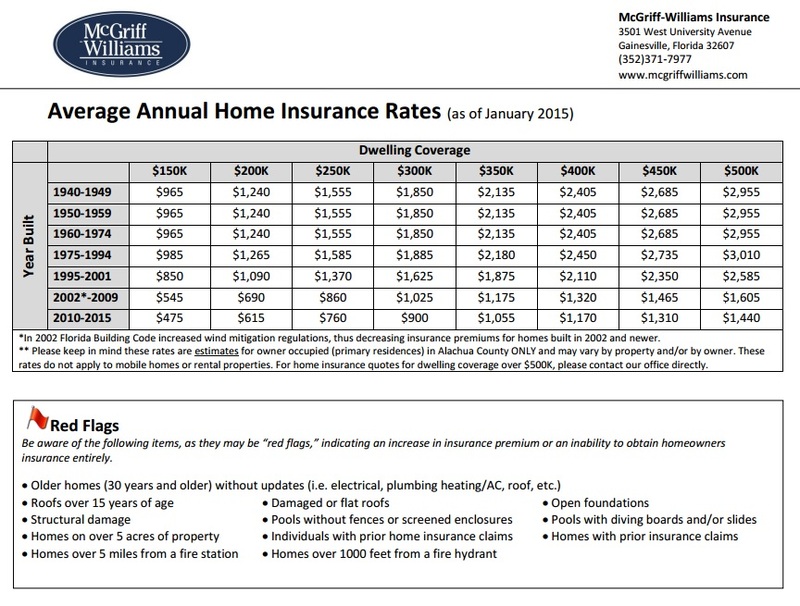 These rates do not apply to mobile homes or rental properties. “Red flag” items are listed below each chart. These items may increase the cost of the insurance coverage or make the home unable to insure. Plan Options/Choices: Florida Blue offers just under 20 health plan options for individuals under the age of 65 in 2015. About half of the plans are HMO* and half are PPO** plans. In addition to individual health insurance policies for individuals 64 years of age and younger, Florida Blue also offers Medicare supplements, dental, vision, group health insurance plans and temporary individual plans. Value added services: If you are insured by Florida Blue, there are a variety of tools and services to compare medical costs and drug prices, discounts and rewards.